Keeping the financial books for an active independent bookstore is a pretty daunting task to which Margot has applied her considerable skill and attention to detail. 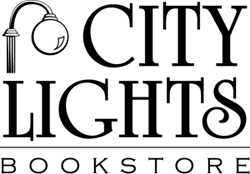 As a voracious reader with a lively and curious mind she is also helping to further broaden the collective reading experience of City Lights' booksellers. Just as Ruth Ann (Moon) Payne has finally got her life all neat and tidy, she is confronted with family needs she cannot deny. Her teenage daughter, Ashley, who had run away from home, returns pregnant and needs a place to live. Her aging mother, Marvelle Moon, is increasingly forgetful and can no longer live alone. Although Ruth Ann takes them in, it's an uneasy situation. This delightful story of how they settle in is a really wonderful read, full of humor and sadness, memories and dreams! Taking place in western North Carolina, Moon Women has strong regional appeal, but Duncan's portraits of these three strong women ring true wherever you're from. Although time, place and circumstances were very different, I lived several of my teenage years in a three-generation, all-female household. As I read, the dynamics of these relationships seemed real. A delightful book I read a few years ago is If You Lived Here, I'd Know Your Name. The author, Heather Lende, moved to Alaska with her husband right after they graduated from college; some 25 years later, they're still there. Those of us who appreciate the intimacy of living in a small town and accept its inconveniences will relate to Lende's stories about life in Haines, Alaska, where she writes a social column and obituaries for the weekly paper. The book is a celebration of life; Lende's vivid descriptions of the beautiful natural setting of her town and of the colorful people who live there make it wonderful reading! Whose heart doesn't glow at the mere thought of a lovely bouquet of flowers? Certainly, mine isn't immune! So I really enjoyed reading Flower Confidential, a fascinating book about the commercial flower industry, from plant breeding to raising flowers to marketing them worldwide. Stewart takes her reader with her as she visits the fields where lilies are bred, to greenhouses of tulips, roses and gerbera daisies, and on to the world-famous Dutch flower auction where the seemingly delicate crop of cut flowers is brought from all over the world to be sold to wholesalers. She discusses the growing trend of producing organic flowers and shows us the headaches and heartaches of retail florists. A really good read! Susan Wittig Albert, author of the popular China Bayles series, is off on a delightful new tack. Her book, The Tale of Hill Top Farm, is a gentle mystery featuring Miss Beatrix Potter, best known perhaps as the author-illustrator of The Tale of Peter Rabbit. The story is just good fun! And if you value a well-told story with a strong sense of place, this book is a must-read. Having recently returned from a trip to the English Lake Country that included a visit to Hill Top Farm, I reveled in Ms. Albert's depiction of the farm, the village and the surrounding countryside, as well as the details of Miss Potter's amazing life. Wildlife biologist Deanna is caught off guard by an intrusive young hunter, while bookish city wife Lusa finds herself facing a difficult identity choice, and elderly neighbors find attraction at the height of a long-standing feud. Tracy Kidder's Mountains Beyond Mountains is a compelling read. Through Kidder we meet and get to know Dr. Paul Farmer, a most engaging person, caring physician, a husband and father, medical anthropologist, infectious disease specialist, and tireless warrior for the poor. His life is formed by his belief that 'the only real nation is humanity.' The hospital he has built in Haiti would be an amazing lifetime accomplishment for anyone, but Farmer's boundless energy and passion for serving the underserved have lead him also to Peru, Cuba, and Russia, where he has worked to improve the treatment of drug-resistant TB and AIDS in slums and prisons.